One of the most frequently abused gifts of God among Christians today is prayer. For some reason we’ve gotten this notion that prayer is always a good thing. It is not. Prayer can easily become an attempt to approach God on our own terms, to manipulate Him, or put Him to the test by expecting Him to give us some “sign” apart from what He’s already revealed in His Word. Such prayer is extremely dangerous and not even remotely Christian. It is important to recognize that not all prayer is God-pleasing. The only thing that’s worse than repeatedly walking into the traps of Satan is mistaking them for the blessings of Christ. In this article we will consider two common abuses of prayer. The first pertains to whom our prayers are addressed, and the second to the content of our prayers. Christian prayer is essentially Trinitarian. The Holy Spirit creates faith in Jesus, through whom have access to the Father. Apart from the work of Father, Son, & Holy Spirit there is no God-pleasing prayer. It does not make God happy when people pray to Allah, Amida Buddha, Baal, Zeus, Isis, Mother Nature, etc. Several months ago I began exploring Clinical Pastoral Education (CPE) programs at various local hospitals. The hospital is truly an ecumenical setting, as chaplains interact with patients of every religious stripe. As a prospective student, I was very concerned with how I was expected to handle requests for prayer, particularly when they come from non-Christians. The response I received varied from supervisor to supervisor, but one thing every response had in common was that you never deny a request for prayer. Even the LCMS supervisor I spoke with (who has decades of CPE experience) said he told every patient who requested prayer that “it would be an honor” to pray with them. What makes prayer with non-Christians problematic is that we don’t believe in the same god. To whom are we praying? At the one extreme, one (Christian) supervisor with whom I spoke said she would actually conduct non-Christian religious rituals. She described how when she once “ministered” to a dying Buddhist, she set up a little shrine to the Buddha and began to conduct some sort of Buddhist ritual. Every CPE center I visited provides resources for their chaplains and students so they can offer the non-Christian patient rituals from their own tradition. Aside from being crass idolatry, for a Christian to go through the motions of offering services and prayers in the name of false gods is incredibly disrespectful to that tradition. We of course have biblical precedent for mocking false gods (1 Kings 18), but doing that openly in the spirit of Elijah would be the quickest way to flunk CPE (and possibly get criminal charges of hate-speech filed against you). None of the supervisors with whom I spoke saw any problem with offering such disingenuous prayer, nor was there much concern to protect the student/chaplain’s own theological integrity (sympathy was expressed, but there still remains the expectation to engage in idolatry). The patient’s religious views are to be protected at all costs. NO praying in the Name of Jesus around non-Christians, that’s for sure. This mentality is widespread outside of CPE, particularly within the Missouri Synod. How many interfaith prayer vigils must our pastors participate in before we (as a Synod) state unequivocally that it makes God angry when we pray with unbelievers? Prayer with atheists and idolaters is not just an exercise in silence for them. Demons are real, and they lurk behind every idol (1 Corinthians 10:19-20). Christians are to confess, and not deny, but confess that there is no access to God apart from Father, Son, and Holy Spirit. To withhold our confession around those who deny the Trinity for the sake of not offending them and then going ahead and praying with them “to an unknown god” anyway is idolatry. Christian prayer is fundamentally Trinitarian. This is why Christian prayer often begins “in the name of the Father and of the + Son and of the Holy Spirit”, and why our prayers often conclude “though Jesus Christ, our Lord, who lives and reigns with [the Father] and the Holy Spirit.” It is extraordinarily dangerous and sinful to take a view of prayer which is divorced from faith in the One True God, Father, Son, and Holy Spirit. Such prayer is demonic. It would be far better to not pray at all than to join with others in their idolatry. Godly prayer is more than getting the address right. Even when we call upon the right God, it’s easy to forget that we are speaking to God Almighty. The worst thing you could do is “pour out your heart” to Him. Remember what Scripture teaches about the heart? (See Genesis 6:5, 8:21; Jeremiah 17:9; Matthew 15:19) Out of the heart come evil thoughts, murder, adultery, sexual immorality, theft, false witness, slander. If your heart is telling you to get revenge or have an affair, it is wrong to ask God to aid your efforts in doing so. The only appropriate thing to do with such thoughts is to confess them. In private prayer, yes, but even better is to confess those sins to a pastor (lest those sins remain locked up in the safe confines of the heart). What’s more, there are appropriate ways for children to speak to their parents and their are inappropriate ways. How much more true is this, then, of us and our heavenly Father? Godly prayer is always a response to His Word. The Word must precede and inform our prayers if they are to be God-pleasing. Many Christians wouldn’t be able to tell you why it’s wrong to pray for lots of money and huge pectoral muscles. Some would even tell you to go for it, (wrongly) invoking passages such as Matthew 7:7–11 and Luke 11:9–10. Godly prayer is always mindful of God’s will. Prayer that seeks to manipulate God for personal gain is nothing short of ChristianCraft. God was pleased with Solomon when he asked for wisdom rather than fame and fortune (1 Kings 3:5–14). His prayer, along with the Psalms and everything else in God’s Word, should be a model for (or even the content of) our own prayers. It is very easy to separate prayer from God’s Word, but when this happens, it ceases to be Christian and becomes the devil’s playground. Not everything that is called “prayer” pleases God. Christian prayer begins with listening to God’s Word. Pray it back to Him. Take your cue from those formal, boring liturgical prayers we use in church and have in the hymnal. They’re there for a reason. Learn Matins and Vespers. Use Luther’s Daily Prayers in the Small Catechism. Around the Word is producing some wonderful weekly devotions that take their cue from Luther’s suggestion. When you offer prayers from your heart, make sure they are grounded in God’s Word. A (genuine) confession of sins can hardly be ungodly, along with prayers for the benefit of your neighbor. Like the prayers offered to false or nameless gods, we would be better off to not pray at all than to offer prayers that are entirely disconnected from God’s Word. An exception is made for Roman Catholics. I was told that CPE students/chaplains are forbidden from administering the Sacrament to Roman Catholics; a priest is required for that. For some reason, CPE centers are willing to risk offense when it comes to Roman Catholic doctrine, but they aren’t willing to extend that same courtesy to others. Unless the patient is Roman Catholic, the expectation is that a student/chaplain (ordained or lay) will provide the Sacrament to anyone who asks for it. Baptizing dead babies is also a common practice among those trained in CPE (since one of the only doctrines in CPE is that you can’t say “no”). One Greek Orthodox woman I met said she’d become a chaplain since her behind-the-times denomination doesn’t ordain women yet. CPE was her way around that. Pastor Andersen serves Zion Evangelical Lutheran Church in Summit, IL and Immanuel Evangelical Lutheran Church in Hodgkins, IL. He is also the Associate Editor of Brothers of John the Steadfast, Bible Study editor for Around the Word, and teaches at Wittenberg Academy. You can read his sermons here. This all forgets 1 Corinthians 10:19 & 21. “What do I imply then? That food offered to idols is anything, or that an idol is anything? No, I imply that what pagans sacrifice they offer to demons and not to God. I do not want you to be participants with demons. You cannot drink the cup of the Lord and the cup of demons. You cannot partake of the table of the Lord and the table of demons.” Yes this does deal with the Lord’s Supper, yet if a pagan sacrifice is made to a demon, does it not follow that prayer made to a false god is also made to demons? I can see your point and I have to imagine that our military chaplains go through this all the time. Maybe one reading this can weigh in? Personally, the reasons you cite are the ones I gave for avoiding Scouts’ Own services when I was leader and advised my son to stay away from them. That action was about as popular as my insistence that Muslims and Jews do not worship the One True God. Syncretism is very appealing to Americans wishing to be inoffensive and want to have so much civil religion. It’s also why I disdain the use of prayer in civil settings (Congress, legislatures, prayer breakfasts), Pledge of Allegiance – another thing that is seen as “un-Christian” by many because, well, “under God” means my personal concept of God, right? NO! We cannot say such things alongside non-Christians and believe that we are in concord and we do not define God in our minds. What kind of witness is that? Yet, what red-blooded, patriotic Lutheran shuns the Pledge or doesn’t bow his head at the Memorial Day service when a rabbi or imam or Mormon stands up and prays to “God” or offers some invocation? How far do you take this? What you’re citing in this program is merely a further expression of a desire for people to be religious and to put religion, of any kind, into public life. How far should your public witness go to distinguish yourself from the syncretic masses? What you’re saying of prayer is mostly true (I would say we can “pour out our hearts” when we look for meaning in suffering) but it touches on larger issues which I don’t believe there is much courage to address. There is a sense in which we can, and even should, “pour out our hearts” to God in prayer. However, when this becomes the basis and content of prayer rather than God’s Word, it turns prayer into self-serving idolatry. As our Lord teaches, the heart is entirely corrupt. In order for our prayers to be Christian and God-pleasing, they *must* be tempered by His Word. Unfortunately, many people have this silly notion that Christianity is beyond abuse. So long as we’re talking about “god”, Who cares what doctrine is taught? Isn’t it a good thing to join with Muslims in pledging allegiance to “god”? Aren’t all movies/books/tv shows about the Bible a good thing? Isn’t it better to read a book about God that has some false doctrine than to not read about Him at all? And who cares about the content or direction of worship, so long as we’re at church? Prayer is often treated in the same way. Then, I think we’re pretty much on the same page. I am looking for fellows with the courage to stand up and not participate in the “god” things the public expects, including syncretic prayer. I think it’s more the how an why we ask for things than what we ask for that matters. So, again, I think we agree. Prayer is not often well taught and I think your advice as to where we find model prayer is good. I also find that prayer is not practiced as often it ought to be. We have found that mid-week prayer, opening the sanctuary for a gathering, to be educational and productive. As the weather warms, we’re planning to resume some prayer walking on these evenings, as well. Sometimes I am asked to pray at family gatherings where there are unbelievers and Orthodox Jews gathered for dinner. I always feel uneasy, but I address each prayer to the Heavenly Father, and end “in Your Name we pray, and I pray in the Name of Jesus Christ, Amen.” Fully mindful of wanting to avoid syncretism, yet desiring that my unbelieving inlaws might receive a Christian witness, I pray. When at home, I always begin table prayer at home in the name of the Father, Son and Holy Spirit. Gosh, I remember my scoutmaster invoking the name of “the Great Spirit of Scouting” at the end of Boy Scout meetings 40 years ago. Yikes! If a civic organization you belong to asks you to “say grace” over lunch, do you refuse? The city council/school board opens with an invocation, and rotates the request among the ministers of the town. Do you take a turn? How about high school baccalaureate? Our Pastor “regretted” for years; finally, one year when almost all of the Seniors with “Honors” were from our Lutheran grade school and they really wanted him, it was arranged that he would do all of the prayers as well as the baccalaureate address and so he did. Isn’t it better to read a book about God that has some false doctrine than to not read about Him at all? Which God? Personally, I think the “Shack” was about someone’s idol and not about God at all. But Lutherans wasted their grey cells on it! No, I didn’t. I get an education from book reviews, and eliminate most of what’s printed in this generation. I have no problem praying in a civic setting as long as I’m doing the praying. There will always be an Invocation and Trinitarian (or at least Christological) termination. I hear you! and I think that using your prayer to witness is perfect. When the prayer or invocation is Trinitarian and properly done, if I am in attendance, I participate. But the reasoning behind such rituals in public settings is one that seeks to bury distinctions among faiths. It sets up rotations among clergy and leaves too much to the subjective hearer or subjective participation. I am not confident that people are not numb to these public displays as mere formality and question the value of participating in a rotation which does not accord God a superior status to other gods. It definitely does not challenge these other gods as Elijah did. Quite the opposite, it leaves the Christian content to take his place among the worshipers of idols – just another faith. I am sure that pastoral concerns come into play and the student and family were pleased and honored. But the gesture was one from the pastor to that student and family moreso than the assembly. That is great. A wonderful gift. As with any 2 million member organization, there will be isolated pockets of outliers. Female ministers and syncretism are not very widely accepted IMO. Please list the synods to which we can flee that are free from isolated pockets of outliers. In every church body at least sometimes false doctrine appears. But in a confessional church body the false doctrine is not tolerated. That a body inevitably gets sickness does not mean that it is a good thing to tolerate it. The problem is, when a false doctrine is unchecked, it spreads. One only needs to look at American evangelicalism for this to be seen as true. I guess, I ask myself & wonder…the picture attached, is from 2001. It’s 2015. 14 years, of talking, resolutions, bylaws, conventions, for what? Has anything changed? The Foundations of this Denomination, are only worth, as much, as they are, upheld & defended. 2001-2015. I don’t have to look far, at all, to see nothing has changed. I can open my bulletin or ck my Congregation’s website. 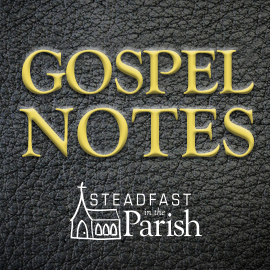 Congregationally, District wide, and Synodically. As John Rixe, stated, so perfectly, list a Denomination, that has Congregations, throughout, that we can flee to? No, we need to know what to do, when asking nicely, attempting to walk together, fails. This mentality is widespread outside of CPE, particularly within the Missouri Synod. How many interfaith prayer vigils must our pastors participate in before we (as a Synod) state unequivocally that it makes God angry when we pray with unbelievers? Widespread? I know of only two in the last 15 years. They were bad, but it’s unlikely there will be widespread repetitions. Please ask the Editor, to forward my email. I do not agree with you, however, I’d prefer to tell ya why, in private. I have to be careful. Only if you chose, and if they allow. Our LCMS is tolerating this joint Easter worship service with Assemblies of God and another Christian (not Lutheran) organization (i.e. Unionism) http://www.fairhavenmemorial.com/BookingRetrieve.aspx?ID=246092 because the LCMS was notified of it a month ago, and they have not spoken out against it publicly, or privately to those who complained about the joint service. 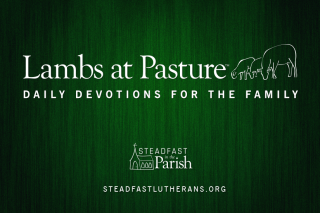 The LCMS pastor participating in this joint worship service is from St. John’s Lutheran Church, Orange, California, which is the congregation at which Tim Klinkenberg is the senior pastor. The large majority of people who know about this joint service think the LCMS is fine with Unionism because the LCMS has not publicly communicated any objection to the Unionism in which its Pastors participated this past Easter. Re your second para. : I should have specified a small town, in which all the clerical participants are some kind of Trinitarian Christian [although the Lutheran constantly explains the differences in his Bible classes]. Re the baccalaureate: several Lutheran families were pleased. The Pastor, (despite/because of?) his “exclusive” theological stance, was well thought of in that town. Clearly, Pastor Fjellander’s list includes at least some with false doctrine or there would not be a list, merely one organization, one body of believers in full agreement on every doctrinal point. Understand, I live in a small town, too. But in NJ. We cram a lot of variety into every square mile. My little town of 5,000 has a synagogue established in 1920 by Russian Jewish immigrants who came to found businesses in support of mining. We have a Kingdom Hall of Jehovah’s Witnesses. We have a Presbyterian Church which has had a succession of female ministers and an unaffiliated Baptist congregation with a self-appointed minister in an old auto body shop. Of course there is a Catholic church, as well, and an LCMS church in a neighboring town. The Catholic priest and Presbyterian minster can always be counted on to avoid offense with Trinitarian prayers or invocations. The Jehovah’s Witnesses can be counted on to avoid anything. The synagogue does not have a rabbi at all times – it’s really small. Above the one-horse town level, then, we get to regional HS, county politics and we end up with some of the Muslim persuasion, a broader range of non-denoms who preach openly against sacraments and denominations…you get the idea. When the LCMS minister stands in for anything, he’s standing at the podium shared by heterodox Christians and non-Christians as an equal taking his turn. Sometimes the best thing a LCMS pastor can do is just say no. Tend your flock and teach. we have monthly prayer breakfast meetings in our town and area, our pastor does not participate. maybe its the food but I think it is really because he doesn’t wish to pray with others outside of our synod. I think it would be interesting to find out his take on this. I think WELS is off it’s rocker with the notion that they can’t even pray the Lord’s Prayer with other Christians outside WELS because worship requires total doctrinal agreement on all points. I think of the number of people who visit our church who want to see what we’re about, many of whom, eventually join us having been Methodist, Catholic, Presbyterian, non-denoms. Should we have said “You can watch and listen but not pray or sing with us because you cannot worship with us until you make a doctrinal commitment”? I think WELS & ilk carry their fears of unionism too far. There are sensible lines that can be drawn that allow us to interact with and influence Christians in error. We can also encourage people not to leave Christianity by sharing proper expressions of faith with them. Better they remain Christians in error than leave the faith for lack of fellowship at a critical time. Maybe they have agreement loopholes for the uninitiated or the visitors or the curious or, maybe, they’re shrinking and dying on the vine. I know in our outreach it’s demonstrate love, let the Spirit work, bring people in to hear, and then teach. Public prayer does not accomplish that if we’re all on common ground with other gods. Your pastor still has to consider evangelism as part of his calling and has to go out into the world somehow making known his proper objections to syncretism in the public arena. That may even be by communicating it to you so you can chat it up with neighbors. “total doctrinal agreement on all points” is required for Christian fellowship according to Luther, BOC, Walther, Pieper and, of course, the Bible! I totally disagree. Close communion is a proper line to draw. The Sacrament demands it and we would not practice otherwise. Avoiding fellowship with other Christians in the form of prayer and praise is not. Nor is it scriptural. All those baptized into Christ are in the Church, however they have been rightly or wrongly instructed. We are not in a different Body of Christ, we are in THE Body of Christ, the only Body of Christ, together with Christians of other denominations. It is no scandal to recite the Creeds together, to pray the Lord’s Prayer together, to sing proper hymns together, to ask blessings in Christ’s name together, to work together in charity. Refusal to engage in fellowship as the Body of Christ, to the greatest degree possible with respect to the truth is cultivating division against scripture (1 Corinthians 12). Moreover, there has never been the degree of concord among Christians that some like to imagine, not with regard to the sacraments, worship of saints. The Lutheran Confessions allow prayer for the dead (with it’s working anything for them) but I’ve never met anyone who practices this. One thing I am certain of, we, as Lutherans, go out among other Christians with and open and powerful Gospel. There are no strings attached to our Good News. They need that but it doesn’t come to them if we don’t bring it. While I definitely think that the public arena and chaplaincies pose considerable challenges to our clergy and our witness, we must, somehow get out there and witness. Where I am, we prayer walk local neighborhoods, we take the prayer out of the sanctuary and into homes. when there are opportunities to serve the community, conspicuously, as Christians, we take it – there are several food pantries in the area, we work with other churches so as to not overlap too much and make sure everyone who needs food receives it, we do service projects with other Christians from other churches, help the homeless, help people buy heating oil or firewood. While the public space puts an unknown, anonymous god in front of people, fellowship and service puts the True God out there for everyone to see. No one comes in the door without first being invited and touched. We are Christ’s hands and feet and voice in the world, not just his worshipers in church. The benefit of being well-trained in doctrine and comfortable in one’s faith is being able to step out of one’s comfort zone and encounter those that need Christ and I fear that simply eschewing things like Yankee Stadium devolve into isolationism and reactionary piety or the feeling that, if one wants to get to know us, they’ll walk into church uninvited. we [WELS] don’t forbid our visitors to pray and sing hymns etc. The Lutheran Confessions allow prayer for the dead (with it’s working anything for them) but I’ve never met anyone who practices this. You’ve never met anyone who told you they did it. “Close” communion is an invention of the devil, to cover heterodoxy. It’s used, in my experience, by people who don’t want to admit that their table is wide open. I’m not WELS (the name of my denomination is Concordia Lutheran Church), though I think a WELS pastor would agree to not forbid visitors to sing and pray. So HL is fighting a straw man. Excuse me! I drew an inference from a previous post, and jumped to the wrong conclusion. Since the *students* are (mostly) in charge of it (with the exception of a teacher advisor) they let the baccalaureate be more specifically “sectarian”, as they would call it, if the invited “speaker” is more doctrinally-committed. Mostly, it turns out, as you would expect, quite generic. “as it was when they were born, FTM” – No one is predestined to hell, that is not a sealed fate at birth. The Book of Concord does not make so elaborate a statement concerning prayer for the dead, it is less direct, in the Apology under the section on the mass. ““Close” communion is an invention of the devil, to cover heterodoxy. It’s used, in my experience, by people who don’t want to admit that their table is wide open.” So, if another Missouri Synod Lutheran visits your parish, you consider they are not able to commune with you? You only permit those who are actual members of your little congregation to commune? Sounds to me like they cannot join in prayer and praise with the heterodox. that, logically, indicates walking into another church or having them in yours. Either way, you end up praying and singing (worshiping) with heterodox Christians. the only reference i can find of a “Concordia Lutheran Church” as a single entity is a single group of people in Sweden? Sounds to me like they cannot join in prayer and praise with the heterodox. Correct. Either way, you end up praying and singing (worshiping) with heterodox Christians. There is a difference. If you go to another church (not in fellowship), then you join their heterodox worship. That is not the same as permitting visitors to sing in the orthodox service. But if the Christian sitting next you is heterodox – from another denomination, confirmed but confused about some point of doctrine – then you are worshiping with the heterodox. I’ll take it a step further and say that you cannot find a large number of people in perfect lockstep on every point of doctrine and also state, confidently, that no visible church is without error. That’s all part and parcel of rejecting the Roman Catholic notion of the infallible church on a par with infallible scripture. So, we draw lines to determine the minimum standard for orthodoxy and defend those lines based on the best our fallen reason can offer. I have been a Lutheran from the cradle, tested my doctrine against others, and find it sound. But I am under no illusion that Lutheran teaching is perfect in its understanding of all God’s mysteries – such a thing is not possible. Where I live, we are have a mix of ethnicities, cultures, and faiths. Just encouraging people in their Christianity, regardless of denomination, is vital. I would sooner a person remain a staunch Methodist than become a Jehovah’s Witness or simply leave for lack of support. It happens. If someone comes to me with a problem, I talk Gospel and lift them up with prayer. If that sends them back to their non-Lutheran Christianity, so be it. Once, in a nursing home, while we were caroling, an 92 year-old Baptist woman wanted to hear “He Lives!” – I was the only one in our group who knew the song and I sang it solo. We prayed, we laughed, we read a Psalm, God was glorified. Let’s see – praise, prayer, Word – sounds like worship, to me, and not even in a church building. But, the church was there, me, the old woman, the rest of the singers surely amounted to enough gathered in His name. Your group really that small? What are your challenges? Psalm 62:8 says “Trust in him at all times, O people; pour out your heart before him; God is a refuge for us.” So, concerning godly prayer, with what authority do you say: “The worst thing you could do is ‘pour out your heart’ before Him”? This is an excellent article . Our church continually has announcements in the bulletin for public prayer and invitations. I don’t believe this is right. Based on many of the points I have read in this post, my beliefs are confirmed. If I want to gather with other Christians to pray for the unborn- and I do want to do that, I can gather with my brothers and sisters at the alter of my own LCMS church. I have too many Christian friends who refer to God flippantly in prayer- as though he were a buddy from down the street. When they are in my home I pray Luthers meal time prayer. While I confess my own failings in diligence and scriptural prayer; I do not want this to be my practice. Its also confusing to me, that my confessional Pastor allows these kinds of announcements in our church, when we are taught differently from the pulpit. Intentionally rediscover goal-reaching best practices.